How did your ancestors receive their land? Did they win the land lottery? Could they have received a bounty land grant for military service? Perhaps they homesteaded and lived on the land long enough to obtain a land patent. If your ancestor was the first person in the chain of land transfer, he would have either received the land directly from the colony/state or from the federal government. After the initial land distribution, the subsequent transactions for that parcel of land were recorded in deeds at the county courthouse. It is possible to trace the land an ancestor owned back to the original owner through the records. 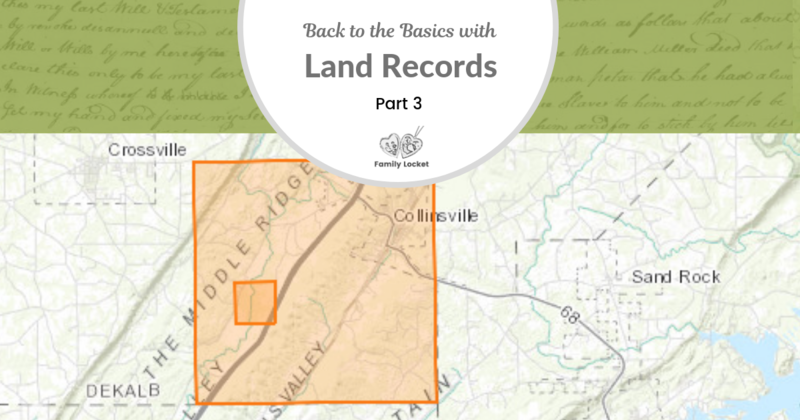 In Part 1 of this series I discussed what might be revealed in a land record: a family relationship, clues to past or present residence, associates, evidence of migration and more. I also described the difference between a state and a federal land state and the differences in land measurement. Part 2 was all about deeds and how to find them in the county deed books both online and at the courthouse. 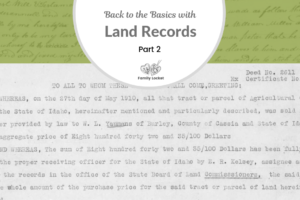 This is the final article in the series and I’m going to briefly describe the process our ancestors went through to qualify for a land patent, which was the first title to the land. The process differed by location and time frame, but the basis steps are as follows. To receive a land patent, an individual had to make a formal application. He’d give an estimate of the acres involved and list the improvements he’d made on the land. Different states and time periods required various other types of information. Once those were met, the application was dated and filed. The fee was paid with cash, or credit arrangements were made and a receipt was issued. If the application was successful, a warrant would be issued to survey the land. The warrant would give a surveyor authorization to measure the land and make a record of a formal description of the land. If this was a state land state, the description would be in metes and bounds. If a federal land state, the township, range, and section would be described. The land was then surveyed. Surveys often show bordering properties, including neighbor’s names. They can describe natural features such as streams, rivers, and swamps as well as man-made objects such as mills and roads. A drawing could accompany the survey or notes. The survey was generally carried out by an approved surveyor and recorded in the land office (state land state) or township plat book (federal land state). In the federal land states, the land survey was next filed in a tract book, then transferred to the General Land Office. Accompanying the survey would be other paperwork such as witness statements, affidavits, receipts, proof of citizenship and more. This paperwork made up the land-entry case file. Many land-entry case files were rejected for various reasons so a patent was never issued. The case files, however, still exist and hold the information from the original application. In a state land state, once the survey was filed, a patent was prepared. The patent was the official title to the property and marked the completion of the land acquisition process. In federal land states, a final certificate for the patent was issued showing that the application had been approved. An individual would take the final certificate to the local land office and exchange it for an official patent from the General Land office. Some patentees also registered the certificate with the local courthouse. 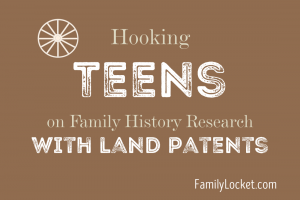 An ancestor who received a land patent was the first owner of that piece of property. After the patent was issued, the property became part of the private sector and the next transfer of land was in the form of a deed. It wasn’t unusual for an individual to begin the process of applying for a land patent then assign his rights to the land to another person. This might have been done to pay a debt, or in return for goods and services. I’ve seen this in many records and wished I knew the rest of the story. In the case of Thomas B. Royston, he received the land patent, then assigned it to a John Graves. Whether Thomas was paying off a debt or received a large sum of money for the land, I don’t know, and other land records haven’t survived to tell the story. My first foray into land records was using the Bureau of Land Management’s website to find land patents for my ancestors. On this website you can search for your ancestor in each federal land state and view the completed patent, the original survey, and other related documents. Performing a search for “Royston” in Chamber County, Alabama, I found a land patent for Thomas B. Royston dated 1 May 1845. Thomas B. Royston,(DeKalb County, Alabama), cash entry patent no. 5969, “Land Patent Search,” images, General Land Office Records (www.glorecords.blm.gov : accessed 13 September 2016). A fun feature of the BLM website is the ability to map the parcel of land granted, shown below. The small orange square is the south east quarter of section twenty. The large orange square is Township 9 South Range 7 East. I can also look at related documents and see the neighbors. Armed with the actual patent number of 5969, I was able to order the land-entry file from the National Archives in Washington D.C. First in the file was a document with the file number of 5969 underlined in red and my ancestor’s name, Tho. B. Royston with the land description and the land act. Other notes on the document were the signature of a notary, and a note that the claim was approved. Thomas B. Royston (DeKalb County) cash entry file, 1842, state volume patent no.5969, Lebanon, Alabama, Land Office; Land Entry Papers 1800-1908, Record Group 49: Records of the Bureau of Land Management; National Archives, Washington, D.C. The file contained just two other images that held only the name and number of the file. This was a relatively small file, but considering it contains information on my 3rd great grandfather in 1837, huge in benefit. I wanted to find this land patent in the tract books and discovered they are digitized on FamilySearch. To learn how to use them, see this excellent article on the FamilySearch Research Wiki, “Tract Books.” The tract books are where you can find the file number of an application that was declined with no patent issued. Approximately 2 million individuals did not complete the process and although they did not receive a patent, their land-entry case file still can be ordered. Here is the entry for Thomas B. Royston’s land patent which was recorded in the tract book of the Land Office at Lebanon, Alabama. The land description was given, the amount of cash paid – $200.85, the date of 23 May 1842, and John Graves, assignee noted. On the same page I saw that three other entries were declined, now I’m interested to find out why! DeKalb County, Alabama, Tract Books, p. 62, entries arranged by legal land description; see Township 9 South, Range 7 East, Section 20, SE 1/4, Thomas B. Royston, 1842; “United States Bureau of Land Management Tract Books, 1800-1955,” Alabama, Vol. 6B (Lebanon), image 72 of 208, FamilySearch ( https://www.familysearch.org : accessed 27 March 2018). 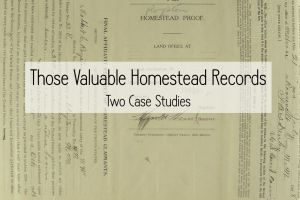 About 2 millions individuals applied for up to 320 acres of free land under the Homestead Law of 1862 and your ancestor might be among them! The homesteaders followed the steps listed above to receive a land patent and created files full of interesting documents. I especially liked learning about a woman receiving land in 1915. 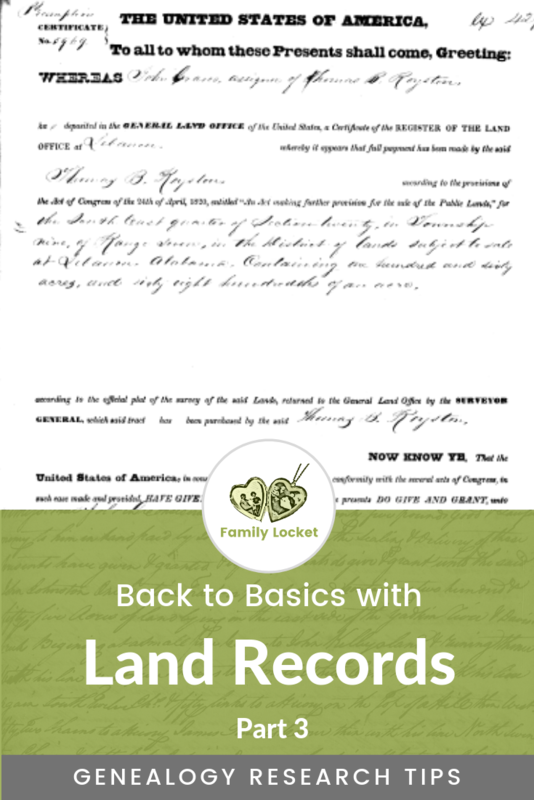 Land records have opened up new possibilities of research in my family and may in yours also.